К-т за зацепване на двигатели FIAT, IVECO, FORD, Citroen - PSA , 2.2L，2.3L，3.0L - ZIMBER TOOLS. Car models- new Fiat Ducato,Iveco Dayli,Ford Transit Van,Peugeot Boxer,Citroen Jumper equipped with these motors. К-т за зацепване на двигатели FIAT, IVECO, FORD, Citroen -PSA - ZIMBER TOOLS. 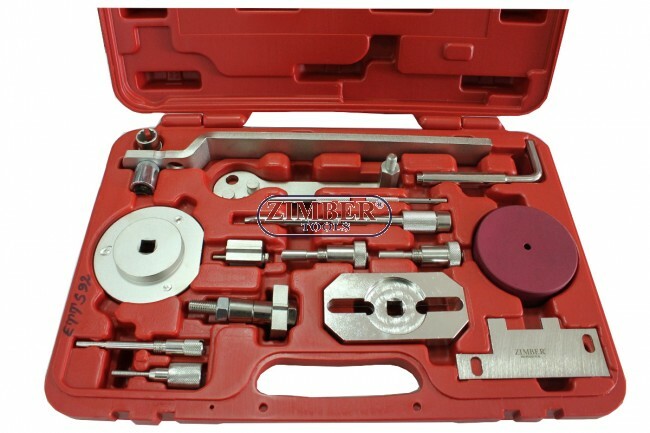 Engine Timing Tools Set For FIAT/IVECO/PSA/FORD - ZR-36ETTS92 - ZIMBER TOOLS.